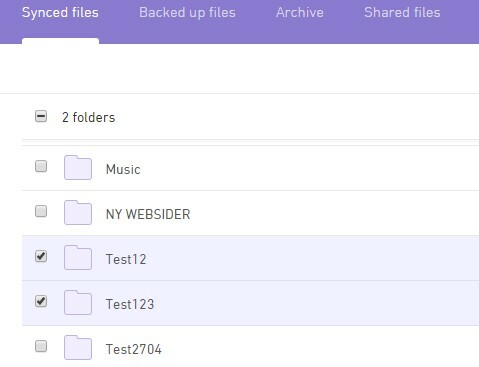 Jottacloud offers archiving for storing data in the cloud. Data stored in the Archive, can be deleted locally, to save harddisk space on a computer or another connected device. Archiving can only be done when a user is logged into our website www.jottacloud.com , and previously archived data is available for download through the desktop clients and apps, as well as through the website. If you choose "Copy" you will have one copy in Synced/Backed up files and one in the archive. If you select "Move" you will only have the copy in the Archive left. If you want to free up space locally on your harddrive, you should normally select "Move"
You can also choose to store your data in one of the subfolders of the Archive by clicking that folder. 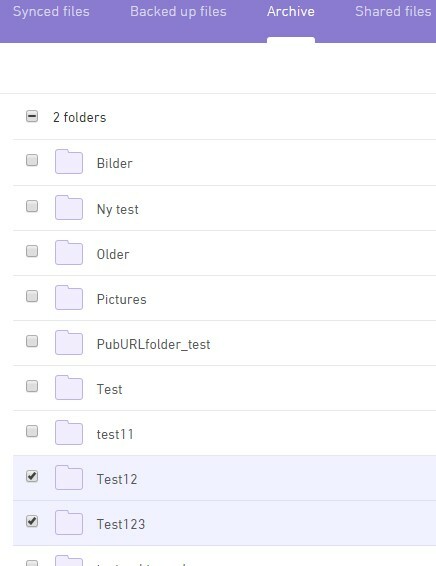 Use the + and - icons to open or close a folder to see your folder structure. 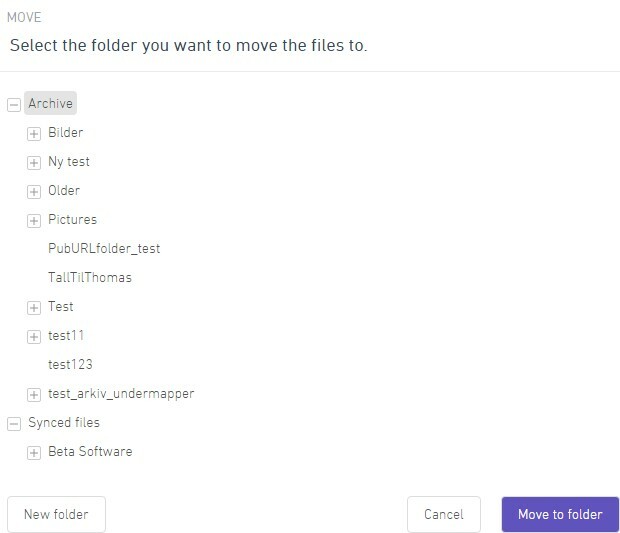 Click "Move/Copy to folder" to confirm your selection and to move/copy the files to the Archive. PS! It is not possible to set up automatic archiving, you will have to do it manually each time. 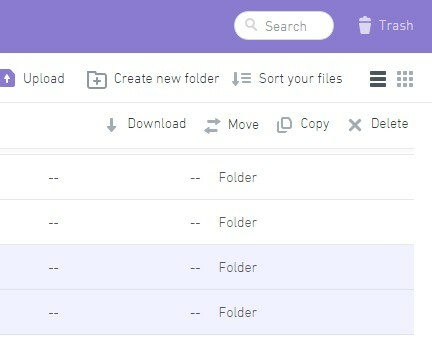 You can upload files directly to the archive using the Upload function on the website, but it still has to be done manually.